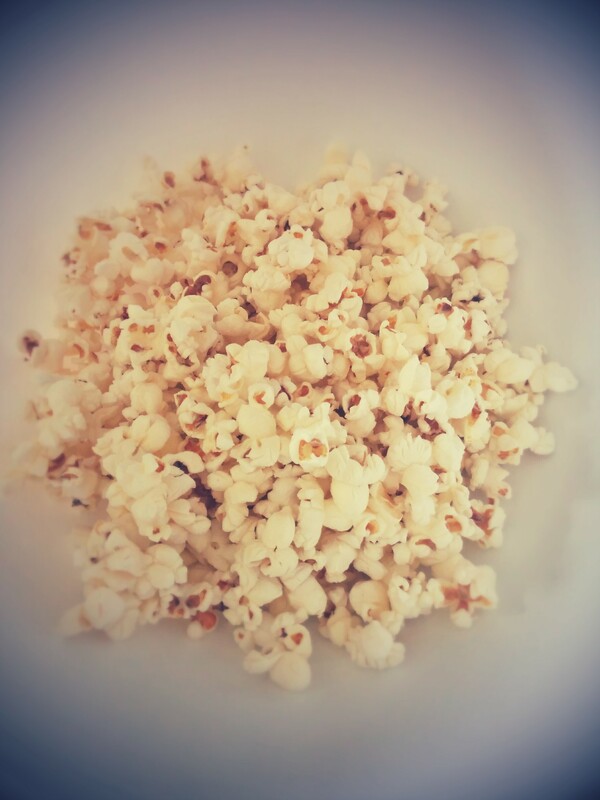 Easy & Delicious Stove Top Popcorn (that just happens to be vegan)! I have heard from several friends, and have read on several web sites, that stove top popcorn made with coconut oil is delicious and easy. I’ve always been interested in trying it for myself, but for some reason, never got around to it until now. I have an air popper, and I usually add butter and salt to my popcorn after it’s popped. After being recommended the coconut oil version once again just last week, I decided to finally give it a try. Pairs well with sweet potatoes, and could make a wonderful addition to cookies, scones, or glazes! These treats are called Family Tree Lemon Bars because they are made with lemons that were picked from a tree that has stood in my grandparents’ backyard for generations. Countless family members have harvested fresh lemons from this tree, and some still do. 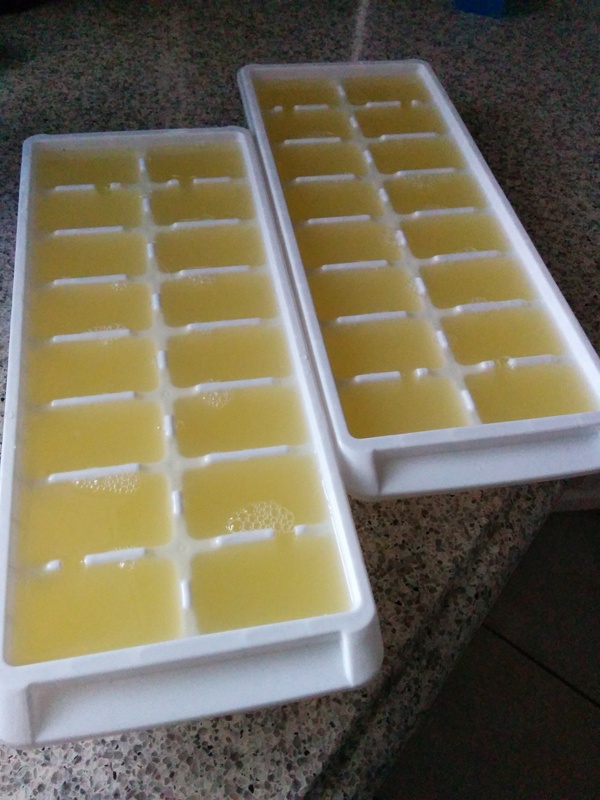 For tips and advice on freezing your own fresh lemon juice and zest, see our related post! In a medium bowl, blend together all crust ingredients and press into an ungreased 9 x 13 pan. Bake for 15 – 20 minutes, or until crust is golden brown and slightly firm. While the crust is baking, mix filling ingredients together in another bowl. Pour the filling mixture over the baked crust and return to oven. Bake for additional 20 minutes. Remove from oven and let cool. Lightly dust the top with powdered sugar. Cut into bars to serve. Filling will thicken once chilled. Store covered in refrigerator. To make this recipe vegan, use an egg replacement and a vegan “butter” spread. Please note that we have not tested the vegan version of this recipe, so we cannot speak to the texture or possible measurement adjustments that might be necessary. We’d love to hear from anyone that gives this a try! If you’re lucky enough to have access to a lemon tree but aren’t sure what to do with all those fresh lemons, here’s a short tutorial on freezing fresh lemon juice and zest! Step one should be to wash the lemons, especially if you’re freezing the zest. 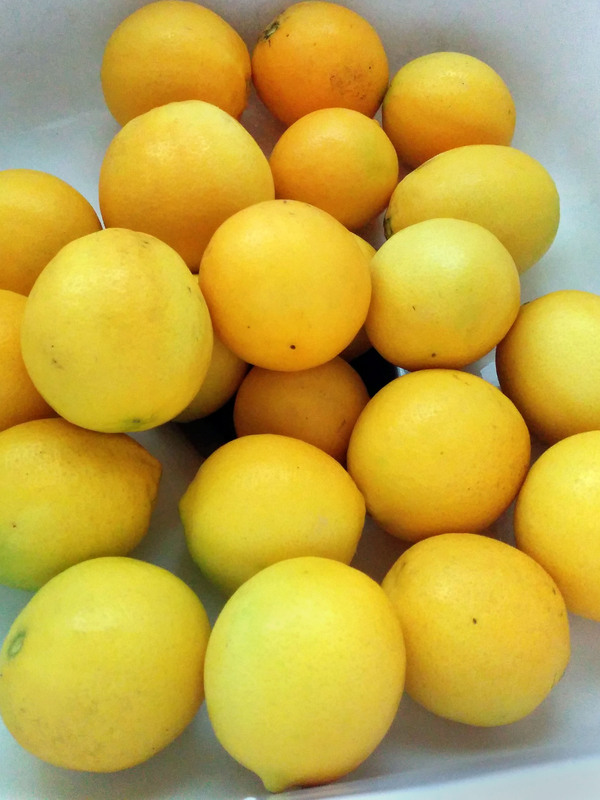 The next step is the longest one – zesting all those lemons! Use a box grater or zester to complete this step. Once all the lemons are zested, lay a piece of waxed paper on a baking sheet. 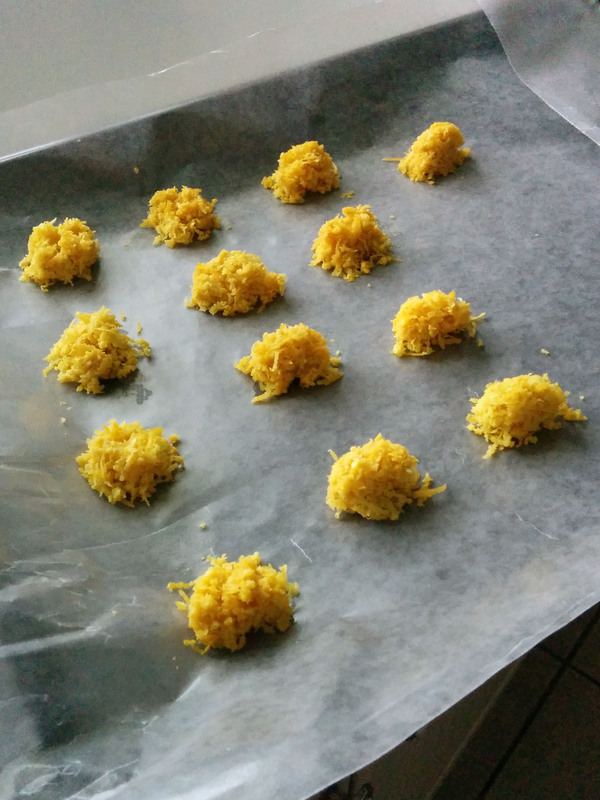 Place lemon zest on the waxed paper in 1 tsp clumps. Place the cookie sheet in the freezer for at least an hour. At this point, the clumps of lemon zest should be stiff enough that they can be wrapped individually with cling wrap and placed into a freezer bag or jar. Label the container with measurement information and date, and store in the freezer. Juice lemons into a large bowl. We suggest juicing by hand rather than with a juicer in order to avoid a bitter lemon rind taste. Strain lemon juice to remove any seeds. Pour into ice cube trays and freeze. Once thoroughly frozen, remove cubes and place into a freezer bag. Label the bag with measurement information and date. Lemon zest and fresh lemon juice both defrost rapidly for easy use in recipes! For a delicious dessert using fresh lemons, see our recipe for Family Tree Lemon Bars!